"Our deepest condolences to the entire Vachereau and Hassett families. Fond memories of meeting Ray. May he Rest In Peace forever. 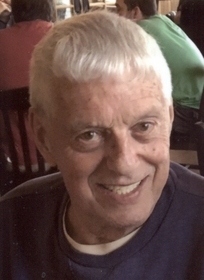 Todd,..."
Raymond Arthur Vachereau, 87 of Clarksburg, MA died Friday September 7, 2018 at Berkshire Medical Center. He was born in Burlington, VT on June 22, 1931 son of Alexandre and Bernadette (Melancon) Vachereau. He moved to North Adams at a young age and attended the Holy Family School. Raymond served in the US Air Force during the Korean Conflict. He worked many jobs during his lifetime (usually more than one at a time) including Sprague Electric; Massachusetts Highway Dept. ; North Adams Transcript; and various local coffee shops to name a few. In 2011, he retired from the Massachusetts Highway Department as Traffic Foreman after 50 years of service. In the past year, he served as the custodian at the Clarksburg Public Library. Each year, he looked forward to his work with the Williams College Alumni Reunion weekend as the Steward for all Old Guard classes. Raymond was a daily communicant of St. Elizabeth of Hungary Church. He was the commander of Clarksburg VFW Post #9144 and a member of the Williamstown American Legion. Ray was also a member of the Stamford Seniors and organized the Elks Monday Night Cribbage League. His first wife was Ruth (Cummings) Vachereau whom he married in 1957. After her death, he was lucky to meet and marry Arlene Cimonetti in 1997. Besides his wife he leaves two sons- Robert Vachereau and his partner, Terry Michaels; and David Vachereau and his wife, Laurie (Kordana)- both of North Adams and two daughters- Susan and husband, Mark Candiloro of North Adams and Patricia and husband, Kevin Hassett of Springfield, MA. He also leaves five grandchildren including Ashley and Kevin Hassett; Matthew Vachereau; and Katie and Alexander Candiloro; and two brothers including Jimmy (Ann) Vachereau of Jacksonville, FL and Andrew (Eleanor) Vachereau of Ocala, FL and three sisters- his God-daughter- Marguerite (Peter) Killeen of Wilbraham, MA; Pauline (Richard) Muse of North Las Vegas, NV; and Aline (Walter) Dougherty of Helotes, TX and many nieces and nephews. He was predeceased by his brother Nelson and two sisters- Sister Yolanda Vachereau SSA and Sister Paulita Vachereau SSA. FUNERAL NOTICE: A Liturgy of Christian Burial for Raymond Vachereau will be celebrated Wednesday September 12, 2018 at 11:00 AM at St. Elizabeth of Hungary Church. Burial will follow in Southview Cemetery. A calling hour AT THE CHURCH will be Wednesday morning from 10-11 AM. Memorial donations may be made to the St. Vincent de Paul Conference at St. Elizabeth of Hungary in care of FLYNN & DAGNOLI-MONTAGNA HOME FOR FUNERALS CENTRAL CHAPEL, 74 Marshall St. North Adams, MA 01247. To add to the Book of Memories, please visit www.flynndagnolifuneralhomes.com.